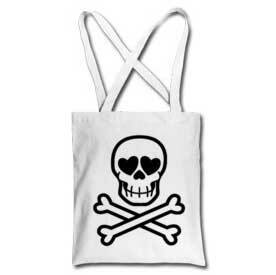 Skull and cross bones on Tote bag. Click the images below to access the products. You can order this kawaii cartoon design on men's, women's, juniors', and babies' apparel as well as tote bags. Lions and Tigers and Bears, Oh My! T-Shirt by Cheerful Madness!! at Skreened. Lions and Tigers and Bears, Oh My! Baby One Piece by Cheerful Madness!! at Skreened. Lions and Tigers and Bears, Oh My! 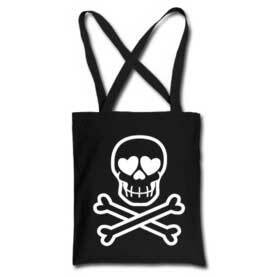 Tote Bag by Cheerful Madness!! at Skreened. Cute cartoon white lion shaking his multicolored mane and splashing the colors of the rainbow, by Cheerful Madness!! at Skreened. You can choose to add the cartoon to various types of garment by clicking the 'more styles' link. A totem pole made of lovely, lively and kawaii cartoon bears by the designer known as Cheerful Madness!! :) Click the images below to access the products. You can change the garment/product on which you want the cartoon displayed. NuTang is the first web site to implement PPGY Technology. This page was generated in 0.010seconds.